Ying Liu went to medical school to train in both Western and Chinese medicine for eight years. She gained Bachelor of medicine in 1994 and Masters Degree in Internal Medicine in 1999 for her research work in the treatment of autoimmune disorders using Chinese herbal medicine. Ying was a registered doctor in the Chinese Health Service and had worked in the University Hospital for ten years before she came to the UK in 2004. In her practice Ying integrates the best of both Chinese and modern Western medicine, as well as other therapies if necessary. Her holistic approach is to tackle the root of the problem, the underlying imbalance rather than trying to fix individual symptoms. Just as binocular vision affords us greater depth and perspective, Ying believes that using the twin lenses of the Chinese and Western medical systems makes us more effective doctors and can contribute to much improved clinical outcomes. With over 20 years of clinical experience from working in hospital in China and in complementary medicine in the UK, Ying holds a high level of expertise in many areas. Her main areas of interest are Women's Health, Hormone Balance, Infertility, Auto-immune Disorders, Rheumatism and Cancer. 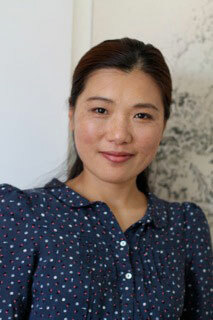 Recently relocated to Bristol from Shropshire, Ying is delighted to offer her service to peole in the South West region. Ying did 3 years post-graduate study in Rheumatology. Her dissertation was a clinical and experimental study on the treatment of SLE (Systemic Lupus Erythematosus). The conclusion was that Chinese herbal medicine, when used synergistically with conventional medication, can help with steroid withdrawll, minimize the use of corticosteroid and disease-modyfying drugs hence the side effects from long term use. Tcombination of acupuncture and Chinese herbs (with or without minimal medication) works better in keep the condition in remission and allow the patients the quality of life. Migraine and chronic headaches, Trigeminal Neuralgia, Bell's Palsy, stroke recovery, Dementia, MS (multiple Sclerosis), Motor neuron disease, peripheral neuropathy, etc. Asthma, COPD, Chronic sinusitis, Hay fever, rhynitis, nasal polys, chronic cough, etc.